Get ready for some of the best Prime Day sales we've ever seen. Editor's note: We will be updating this post periodically until Amazon Prime Day begins at 3 p.m. EST (12 p.m. PST). Once the big event kicks off, head to USA Today for our full list of Amazon Prime Day deals or come back here to get the link. Amazon Prime Day is the second biggest shopping event of the year. 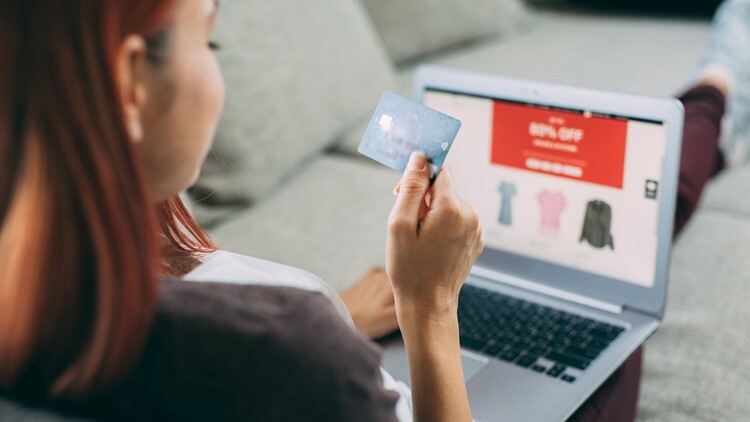 Since its inception in July 2015, Prime day has grown in popularity, in the number of participating retailers the number of shoppers, the amount of money spent, and even the length of the sale. Every year you can truthfully say “this will be the biggest Prime Day yet!” and have it hold true. This year is no different, and while the 36-hour sale does not officially begin until Monday, July 16, at 12 p.m. PST (3 p.m. EST), there are already deals, discounts, and other offers available. You do need to be a Prime member to access the sale, but you can try it free for 30 days to shop Prime Day and try out some of the other member benefits. If you don’t want to pay for it ($119/year or $12.99/month), just cancel the trial before it’s over. To save you the trouble of sorting through countless products on Amazon, we did (and will continue to do) the legwork for you—and will continue to do until Prime Day is over. And once the sale kicks off, we’ll have a complete list of every deal that’s actually worth your time in this year’s summer event, so be sure to come back to USA Today on Monday to check out the best Prime Day deals. If you want the savings, but don't want to become a Prime member, lots of other retailers have promised to price match Prime Day prices. There are also plenty of other sales going on in what retailers have affectionately started to call "Black Friday in July." Anker Nebula Mars II Portable Projector —$399.99 (Save $140) with the code “MARS2EDM”: This is an amazing device. You can watch TV anywhere you want. It has 720p picture quality, can screencast from Android, and has Netflix, YouTube and Hulu apps all built right in. It even has auto-focus, which is super helpful. Anker Nebula Capsule Portable Project —$266 (Save $84) with the code “7CAPSULE”: This is a smaller, more affordable version of the Mars II. It’s got great picture quality, but isn’t quite 720p like its larger counterpart. I love it just as much, especially because it's even more portable, and highly recommend it if the Mars II sounds too pricey. Ecovacs Ozmo 601 Robot Mop and Vacuum—$279.98 (Save $120) : We recently tested this robot vacuum, which has a mopping feature, and found it did a solid job at both tasks. You can control it from your smartphone too, and this is the lowest price we've ever seen. Breville Boss Blender—$269.95 (Save $80): This beast of a blender is perfect for smoothie fanatics, home chefs, and wedding registries. And this is the lowest price we've seen it sell for ever. hOmeLabs 3-in-1 Ionic Air Purifier with HEPA Filter—$24.99 (Save 37%): This highly rated device (usually $40) is on sale for its lowest price ever. It's got good reviews, and you can't beat the price! Presto 08800 EverSharp Electric Knife Sharpener—$19.99 (Save $5): We loved this electric sharpener so much when we tested it that we gave it an Editors' Choice award and named it the best value for electric sharpeners. Amazon Cloud Cam—$59.99 (Save $60): It is not the best smart security camera out there, but the Amazon integration, free 24-hour storage, and 50% discount make it pretty appealing. Echo Spot—$89.99 (Save $30): This smart display combines the best features of every Echo at a great price, earning our Editors' Choice award. Echo Look—$99.99 (Save $100): We're not big fans of this device, but if it's your kind of thing, it's finally available to buy, and it's half off. One of the perks of a Prime membership is access to free and discounted services (here’s a breakdown of all the member benefits). And during Prime Day, you can take advantage of even bigger discounts on some of their best offerings. Whole Foods : There are lots of deals in-store at Whole Foods for Prime Day. Spend at least $10 at a Whole Foods any time between now and the end of Prime Day and get $10 to spend on Prime Day deals. You'll need the Whole Foods app, and it must be synced to your Amazon Prime account (or you can give the cashier the phone number associated with your Prime account). Amazon Music Unlimited : New subscribers can get 4 months for $0.99. It’s typically $7.99/month for Prime members and $9.99/month for everyone else to stream millions of songs from phones, Amazon devices, desktops, and more. Audible : New subscribers can save 66% on their first 3 months of Audible. It usually costs $14.95/month regardless of whether you have Prime, but this deal basically gives you 2 months free (at $5/month for 3 months). Prime Video : Save up to 50% on movie rentals, with some as cheap as $1.99. Amazon Basics : Save up to 20% on select AmazonBasics products, from electric kettles and paper shredders to hangers, blankets lightbulbs, and more. Amazon furniture, bedding, lighting, rugs, and decor : Save up to 25% off Amazon brands like Rivet, Pinzon, and Stone & Beam. I own this Rivet side table (sorry, it’s not on sale right now) and absolutely love it. Amazon brand everyday essentials : Save 30% on select grocery, baby, household, beauty, supplements, and other Amazon-branded everyday items. Amazon Handmade : Save 20% on a whole bunch of handmade goods from individual creators and small businesses in Amazon’s Handmade section. You can find home goods, jewelry, artwork, pet supplies, and more. Amazon Brand Women's Swimwear: Save up to 30% on a bathing suit for your upcoming vacation. They've got classic and trendy styles, mix-and-match pieces, cover-ups, and more. Amazon Brand Activewear: Save up to 40% on men's and women's workout clothing from Amazon brands Core 10, Mint Lilac, Peak Velocity, 7Goals, Kold Feet, and Goodsport. You can find pants, shirts, leggings, sports bras, socks, and more for prices that range from $10-$50 (cheap for activewear these days). There are definitely more options for the ladies in this sale, but guys can find some good workout wear too. While most retailers are keeping quiet about what sales they’ll have for Prime Day, we have managed to get our hands on some good leads. You can add anything from this list to your cart or wishlist to get an alert (from the app) when the deal goes live. It’s one less thing to have to remember! Reminder: These prices will not be available until Prime Day begins on Monday. Opal Nugget Ice Maker—$399 (Save $100): If you’ve ever had (or wanted to try) Sonic’s nugget ice drinks, you need this machine. It makes tiny, crunchable snow cone-like balls of ice that you can use for cocktails and mocktails—and it rarely goes on sale. Leviton Decora Smart In-Wall Switch —$39.97 (Save 20%): This is our top pick for smart switches. It works with Alexa and Google Assistant. The HomeKit-enabled version will also be 20% off ($35.59). Leviton Decora Smart In-Wall Dimmer —$39.97 (Save 20%): We found this to be the best value for in-wall dimmers. Cricut Explore Air 2 Rose Bundle—$195.99 (Save $84): This is perfect for any crafter looking for a new hobby (a.k.a. every one of us). See the complete list of summer sales outside of Amazon here. Check out Amazon's Prime Day destination for the latest deals as well as fun giveaways and more.